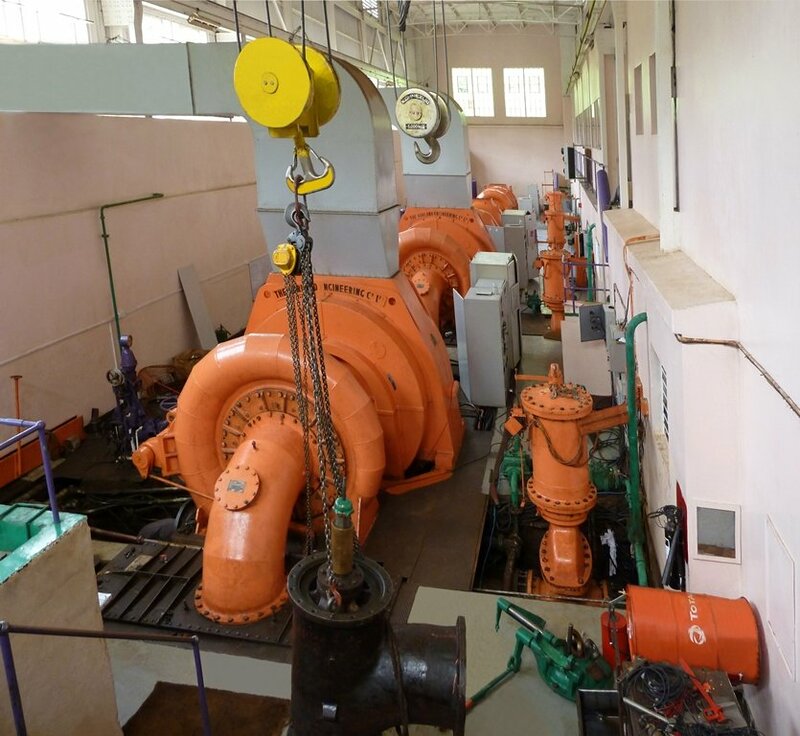 Technology group Voith is now extensively modernizing the Wanjii small hydropower plant in Kenya, which has been in operation for more than 60 years. The company is replacing the plant's turbines, generators, control technology as well as the electromechanical equipment. This will result in an increase in power plant output by around 20 percent. The extensive modernization works is scheduled for completion in mid-2019. A key determining factor outlined by the plant operator KenGen, the leading electricity producer in Kenya, will be the significant increase in performance. The modernization concept developed by Voith will also improve the plant's energy balance with the reduced number of electrical consumers. Another priority is the ease of maintenance. In future, individual components can be replaced, if necessary with minimal effort. The replacement of the power plant technology also includes equipping it with a remote controlled system, so that electricity generation can be regulated from KenGen headquarters in Nairobi. A particular challenge of the upgrade project is that due to structural conditions all components have to be transported to the lower lying powerhouse using an inclined elevator. The machines in the small hydropower plant were originally from Morgan Smith. This company was initially acquired by Allis-Chalmers and subsequently by Voith. As a result, Voith had all relevant documentation on hand during the planning of the project, which made it much easier to develop a modernization concept. With an output of 7.4 MW, the Wanjii facility, which is located around 80 kilometers to the northeast of the Kenyan capital Nairobi, is a good example of the importance of a decentralized energy supply in Africa. In many remote and mountainous regions, similar plants supply people with power and create the basis for their economic and industrial development.